A responsible and knowledgeable guide is perhaps the most important ingredient for a successful safari. Our guides are highly trained and experienced; they can find and track large game, but also take the time to point out things that can be easily overlooked by an untrained eye. This ability will enhance your safari dramatically – you will begin to feel a part of the wilderness around you. We also offer walking safaris where our trained guides can share some of their knowledge with you first-hand. Our guides join forces with the local guides at each camp so you know you are in the best hands at every destination. We use local guides at each location. Pat is a highly experienced and skilled Wildlife Ranger/Guide. His wildlife knowledge is unsurpassed and has been honed over many years of leading small groups of people to wild, out of the way places. He spends a large part of each year travelling the length and breadth of Africa and has a huge store of knowledge on where to go, where to stay and what to see. As the owner of Call of Africa safaris, Pat is committed to supporting sustainable eco-tourism and conservation projects. He shares his enthusiasm with his clients in a very personable way and it’s hard not to get caught up in the excitement on one of Pat’s safaris. Sean has been involved with wildlife from an early age. He has guided canoeing safaris down the major rivers of South Africa, and pioneered river trips down the Zambezi. He also has first-hand experience in building and running safari camps in Malawi, Zambia and Zimbabwe. He holds a Field Guides Certificate of Southern Africa, and has also done research on the highly endangered African Wild Dog in the Kruger National Park and the Northern Provinces of South Africa. His people skills and the love of the outdoors have made him a very sought after guide. Martin is a professional guide with extensive experience in leading safaris throughout Southern and East Africa as well as Botswana and Namibia. He is thoroughly knowledgeable about all aspects of Southern Africa’s natural history and fascinating cultures,and also an expert photographer hosting photographic workshops throughout the year. His people skills and the love of the outdoors have made him a very sought after guide. Martin is a private safari guide and holds the following certifications FGASA Trails Guide, Advanced Weapons Handling, Advanced Wilderness Medic. Dustin has been part of Roots Africa for the last 6 years, both leading tours along with marketing and administration. He studied Law and has travelled extensively throughout South Africa and Europe as a professional rugby player. Dustin now lives permanently in Sweden and is our agent for the Scandinavian market. Owen has his own touring company – Roots Africa Tours, which was established 21 years ago and has been partners with Call of Africa for 15 years. Owen’s extensive knowledge of the various cultures of South Africa as well as pre- and post-apartheid era has gained him great respect within the tourism industry. He is highly respected for his leadership and tours in Cape Town and the Garden Route, the number one tourist destination in Africa. Bugs has been with the Call of Africa team for over 20 years, is responsible for operations and logistics and is based in Cape Town, South Africa. Marian has been with the Call of Africa team for 11 years. Her attention to detail and country/venue knowledge are much valued by our clients. She is based in Cape Town South Africa. Nicole Meyer was born in The Netherlands but has lived and worked in Columbia, Turkey, Venezuela, Singapore, France, England and Germany before settling in South Africa where she has lived for the past 25 years. Trained in hotel management, she also has a 10 year experience in the Safari and Tourism Industry. Nicole is dedicated to responsible tourism and her broad global experience is an asset to our international clientele. 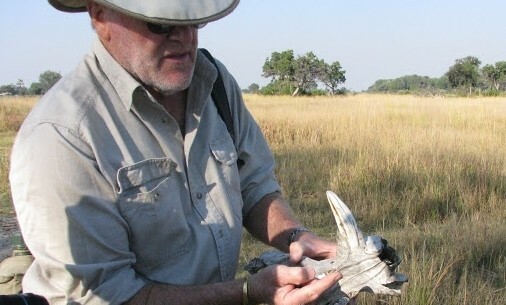 Brian has been involved with Call of Africa Safaris over the last 10 years starting out as a guide/ranger. He is now a Partner in Call of Africa Safaris, is based in New Zealand, and is responsible for the development of Call of Africa Safaris in Australasia and the Pacific.